As of 9/18/2006, this new book is in the warehouse and is being shipped to bookstores. 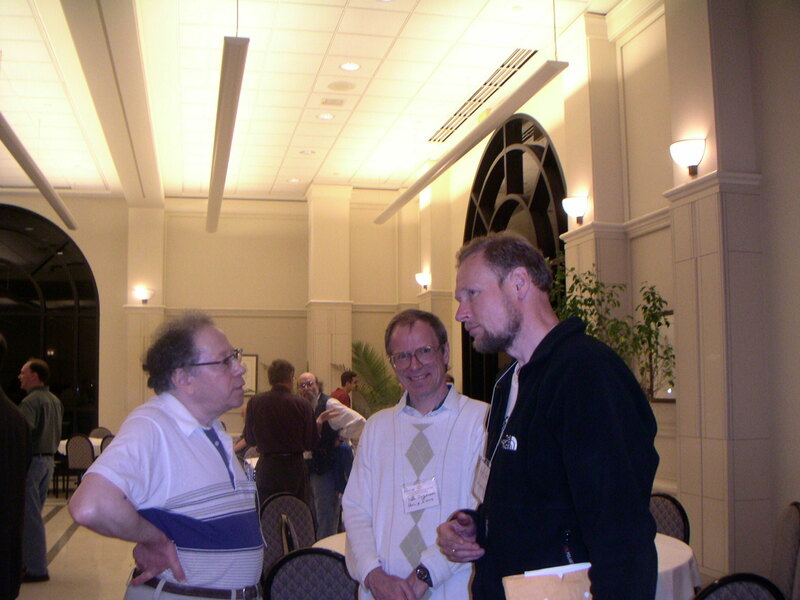 The Midwest Geometry Conference, May 18-20, 2007, and plans for its support. (but check with the stores directly: some data are out of date). If you have any problems with your order, send me an e-mail at jorgen@math.uiowa.edu. D. E. Dutkay, P.E.T. Jorgensen, submitted. P.E.T. Jorgensen, E. P. J. Pearse, submitted. D. E. Dutkay, P.E.T. Jorgensen, D. Han, G. Picioroaga, submitted. by Dorin E. Dutkay and Palle E. T. Jorgensen, , submitted. by Palle E. T. Jorgensen, , submitted. by Ilwoo Cho and Palle E. T. Jorgensen, Journal of Mathematical Physics , to appear. by Palle E. T. Jorgensen and Myung-Sin Song, Complex Analysis and Operator Theory Online First (2007). by Dorin E. Dutkay and Palle E. T. Jorgensen, Mathematische Zeitschrift , to appear. by Palle E. T. Jorgensen, Keri A. Kornelson and Karen L. Shuman, Acta Appl. Math. 3 (2007), 181--222.
by Dorin E. Dutkay, Palle E. T. Jorgensen and Gabriel Picioroaga, , submitted. 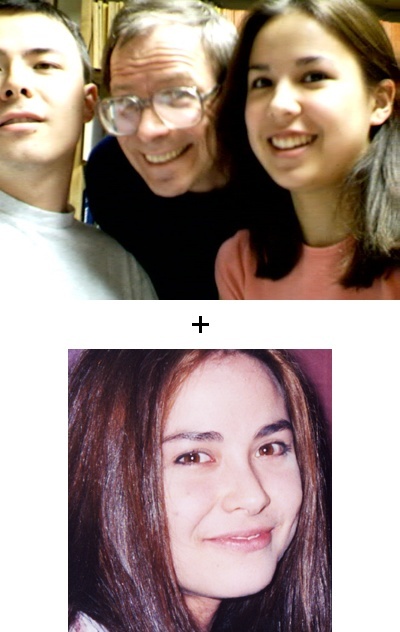 by Sergio Albeverio, Palle E. T. Jorgensen and Anna M. Paolucci J. Math. Phys. 48 (2007), 073516.
by Dorin E. Dutkay and Palle E. T. Jorgensen, Contemp. Math , to appear. by Palle E. T. Jorgensen, Keri Kornelson and Karen Shuman Representations, Wavelets and Frames A Celebration of the Mathematical Work of Lawrence Baggett (Editors Palle E.T. Jorgensen, Kathy D. Merrill and Judith A. Packer) (2007), 217--238.
by Palle E. T. Jorgensen, J. Math. Phys. 48 no. 10 (2007), 103506.
by Palle E. T. Jorgensen, Keri A. Kornelson and Karen L. Shuman J. Math. Phys. 48 no. 8 (2007), 083511.
by Palle E. T. Jorgensen and Myung-Sin Song, J. Math. Phys. 48 no. 10 (2007), 103503.
by Palle E. T. Jorgensen, AIM Institute (2007). by Palle E. T. Jorgensen,Recent Advances in Computational Sciences: Selected Papers from the International Workshop on Computational Sciences and Its Education, World Scientific Publishing Company (2007). by Palle E. T. Jorgensen. 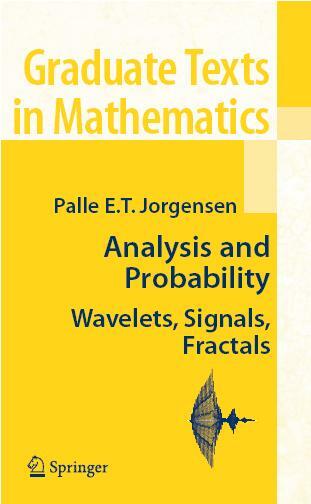 by Palle E. T. Jorgensen, Graduate Texts in Mathematics, vol. 234, Springer, New York, 2006, approx. 320 p., 58 illus., hardcover, ISBN 0-387-29519-4.
by Dorin E. Dutkay and Palle E. T. Jorgensen, Rev. Mat. Iberoamericana 22 (2006), 131--180.
by Dorin E. Dutkay and Palle E. T. Jorgensen, Proc. Amer. Math. Soc., to appear. by L.W. Baggett, Palle E.T. Jorgensen, K.D. Merrill, and J.A. Packer, Acta Appl. Math. 89 (2006), 251--270.
by Dorin E. Dutkay and Palle E. T. Jorgensen, J. Math. Phys. 47 (2006), no. 5, 20 pp. by Dorin E. Dutkay and Palle E. T. Jorgensen, Houston J. Math., to appear. by Dorin E. Dutkay and Palle E. T. Jorgensen, Wavelets, Multiscale Systems and Hypercomplex Analysis (D. Alpay, ed. ), Oper. Theory Adv. Appl., vol. 167, Birkhäuser, Boston, 2006, pp. 87--126.
by Dorin E. Dutkay and Palle E. T. Jorgensen, Math. Comp. 75 (2006), 1931--1970.
by Dorin E. Dutkay and Palle E. T. Jorgensen, Proc. Amer. Math. 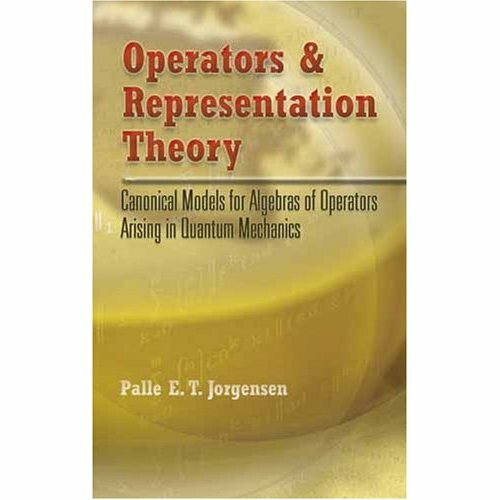 Soc., posted online June 22, 2006.
by Palle E. T. Jorgensen, accepted for Operator Theory, Operator Algebras, and Applications (Deguang Han, Palle Jorgensen, and David R. Larson, eds. ), Contemp. Math., American Mathematical Society, Providence, to appear. by Dorin E. Dutkay and Palle E. T. Jorgensen, J. Operator Theory, to appear (accepted November 2005, publication expected 2007). this is in addition to the mathematics on quantization, incl., quantum statistical mechanics (David Evans and Yasuyuki Kawahigashi, Quantum Symmetries on Operator Algebras. 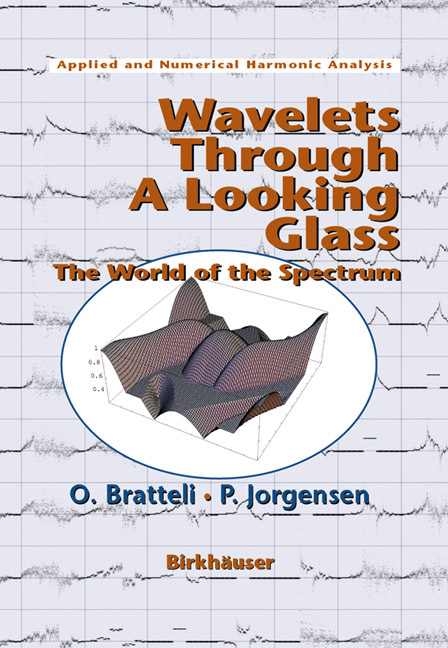 some aspects of wavelet theory (I have a book co-authored with Bratteli on that, see above, and Birkhäuser, Amazon). quantum computation, especially the wonderful work of Reinhard Werner (the Werner of the Werner states). Since the subject of non-commutative geometry branches out so much, it is hard to say that one book covers it all. It is a vast subject, and each one of its many subdivisions could easily be the subject of books in its own right. Other books in math might refer to one aspect of non-commutative geometry, and yet not have an index entry for "non-commutative geometry". I think the difficulty there is that the various specializations do not actually agree on what the term "non-commutative geometry" covers. Another part of this web site includes additional relevant book reviews; see my reviews of math books on Amazon. Wavelet theory stands on the interface between signal processing and harmonic analysis. It concerns the mathematical tools involved in digitizing continuous data with view to storage, and the synthesis process, recreating the desired picture (or time signal) from the stored data. The algorithms involved go under the name of filter banks, and their spectacular efficiency derives in part from the use of (hidden) self-similarity in the data which is analyzed. Operators. Observations or time signals are functions, and classes of functions make up spaces. Numerical correlations add structure to the spaces at hand, Hilbert spaces. There are operators in the spaces deriving from the discrete data and others from the spaces of continuous signals. The first ones are good for computations, while the second reflect the real world. The operators between the two are the focus of Jorgensen's research. Relations between operations in the discrete and continuous domains. These relations are studied as symbols because symbols are programmable. The mathematics involved in assigning operators to the symbolic relations is called representation theory. The combination of the three areas opens up exciting new opportunities at the interface of mathematics and engineering. A main point is the study of intertwining operators between, on one side, the "discrete world" of high-pass/low-pass filters of signal processing, and on the other side, the "continuous world" of wavelets. There are significant operator-algebraic and representation-theoretic issues on both sides of the "divide", and the intertwining operators throw light on central issues for wavelets in higher dimensions. Tools from diverse areas of analysis, as well as from dynamical systems and operator algebra, merge into the research on wavelet analysis. The diversity of techniques is also a charm of the subject, which continues to generate new graduate student activity. Jorgensen had several recent students complete theses in the subject. I. Daubechies, "Recent results in wavelet applications", Journal of Electronic Imaging 7 (no. 4), pp. 719-724, 1998. 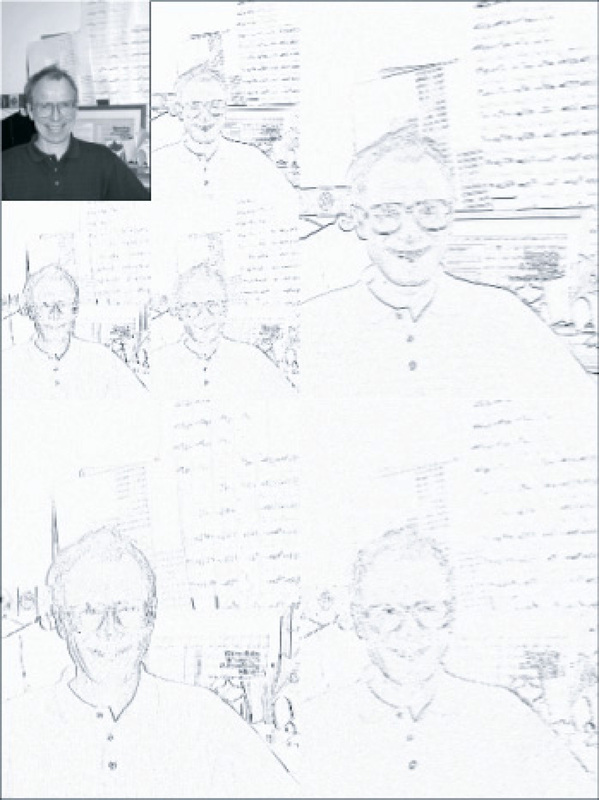 M. J. Jensen, "Making wavelets in finance"
G. Strang, "IMACS Matrices", Proceedings of 16th IMACS World Congress (2000). G. Strang, "Signal processing for everyone", Computational Mathematics Driven by Industrial Problems, V. Capasso, H. Engl, and J. Periaux, eds., Lecture Notes in Mathematics, vol. 1739, Springer, 2000. G. Strang, "Wavelets", American Scientist 82 (April 1994) 250-255. Crystal and Dragon in Diamond Theory in Steven H. Cullinane's web journal. Roger Penrose, The Road to Reality : A Complete Guide to the Laws of the Universe, and my review of it that appeared in the Mathematical Intelligencer 28 (summer 2006), 59-61. The views and opinions expressed in this page are strictly those of the page author. The contents of this page have not been approved by the Division of Mathematical Sciences, the College of Liberal Arts or The University of Iowa. Work displayed on this page was supported in part by the U.S. National Science Foundation under grants DMS-9987777, DMS-0139473(FRG), and DMS-0457581. This page was last modified on 14 January 2007 by Brian Treadway.